Homespun Elegance: Gold Glitter Shaker Card - Scrappin Madge's Birthday Blog Hop! Gold Glitter Shaker Card - Scrappin Madge's Birthday Blog Hop! Hello guys and Happy Wednesday! 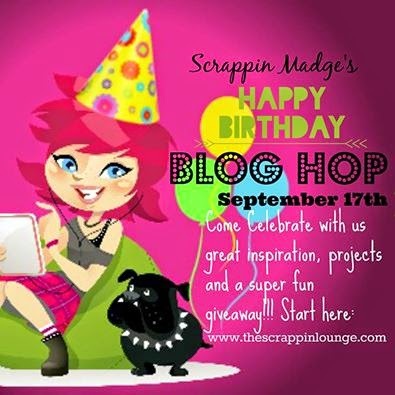 It has been SUCH a long time since I've last posted to my blog but I can't think of a better reason than to celebrate Scrappin Madge's Birthday with her! If you are just stopping in, make sure to stop first at Madges Blog to play along and win some fun Blog Candy! Today I made my first Shaker Card! I've been loving Shaker Cards for a while now but they always looked so difficult to make, so I never attempted one until now! They are actually far easier than I had thought! Isn't it funny how that usually works out that way?! And lastly of course Madge has some amazing Blog Candy for one lucky winner!! 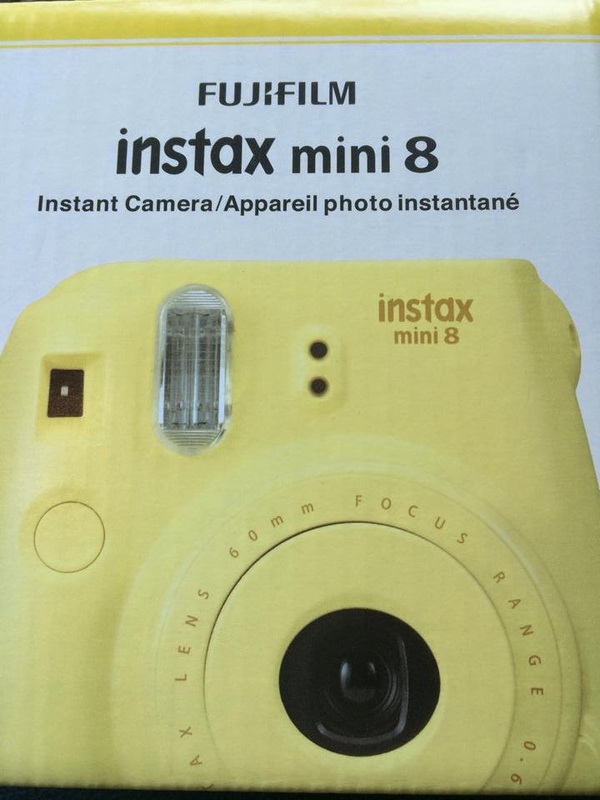 Check out the FujiFilm Instax Mini 8! To be entered to win make sure to follow each Designer's Blogs and leave a comment on each stop along the way! Thanks so much for stopping in today! I hope that you like my shaker card! Make sure you stop in to Scrappin Madges Facebook Page and leave her a Happy Birthday Note! !